Oldham Coliseum Theatre is welcoming two Manchester theatre organisations, Fine Comb Theatre and Rogue Bones Theatre Company, to join the team as Associate Companies. Working with the Coliseum, Fine Comb and Rogue Bones will contribute to the creative life of the theatre and benefit from support in developing, presenting and promoting their work, including rehearsal space and access to the skills and experience of the theatre’s in-house team. Alongside this the two organisations will help to deliver the Coliseum’s broad range of work with young people and in the community, including workshops at Oldham’s Youth Zone, MAHDLO, and sessions with the theatre’s scriptwriting group, Scribbles. Fine Comb Theatre is a new-writing theatre company which was founded by Rachel McMurray and Catherine Morefield whilst studying at Salford University in 2013. Rachel and Catherine make issue-based theatre and have established a reputation for creating stylised, innovative and intriguing plays based on delicate subject matters. They have performed at various venues across the North West, including 53Two and Square Chapel Arts Centre, Halifax, along with two successful tours of Switzerland. 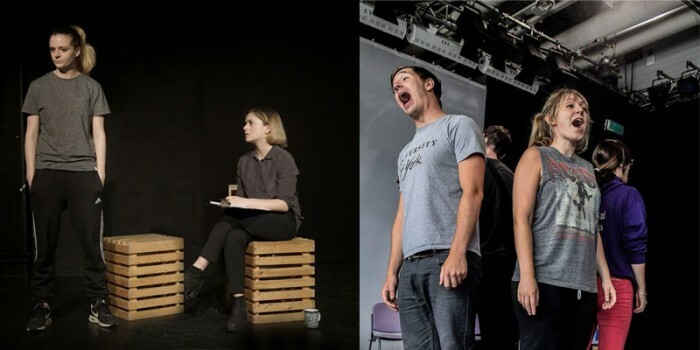 Last year’s production, Matchsticks, which came to the Coliseum Studio in April, was nominated for the Best Drama and Best Newcomer Awards at the Greater Manchester Fringe Festival and nominated for the Write for the Stage New Writing Award. Rogue Bones Theatre Company were formed by co-artistic directors Kash Arshad and Amie George in 2016. Kash and Amie first came together to share 15 minutes of original work at a Shoots Scratch Night at The Lowry, Salford, and were subsequently invited to perform at Paines Plough Roundabout, as an opener for award-winning production, Growth, by Luke Norris. In 2017 Rogue Bones produced the regional premiere of Vinay Patel’s Free Fall at the Greater Manchester Fringe Festival, followed by two original plays: Selfies Kill More People than Sharks and Making Love as part of the Coliseum’s Studio Takeover Season 2018. As Associate Companies Fine Comb and Rogue Bones will receive organisational and artistic development, access to the Coliseum’s rehearsal space, support from the theatre’s in-house teams, press and marketing support and audience development support. The organisations will work closely with the Coliseum to develop new audiences and provide critical feedback for other Coliseum productions. They will also be part of a peer-to-peer support network and act as mentors for young aspiring theatre-makers working with the theatre.